Ideal location,combines both picturesque landscapes & convenience.Timeless 3 bed,3 bath 3,126sqft home offers open concept,vaulted ceilings,gum wood floors,radiant heat & plenty of light.Main level master showcases soak tub, walk-in closet.Over 25 acres of gentle topography,relax in your hot tub and listen to your horses in the pastures.Main barn w/30 stalls directly connects to 60X200 indoor arena.Serene 100X200 outdoor with roundpen. Please, send me more information on this property: MLS# 19095384 – $1,599,000 – 18233 Sw Mountain Home Rd, Sherwood, OR 97140. 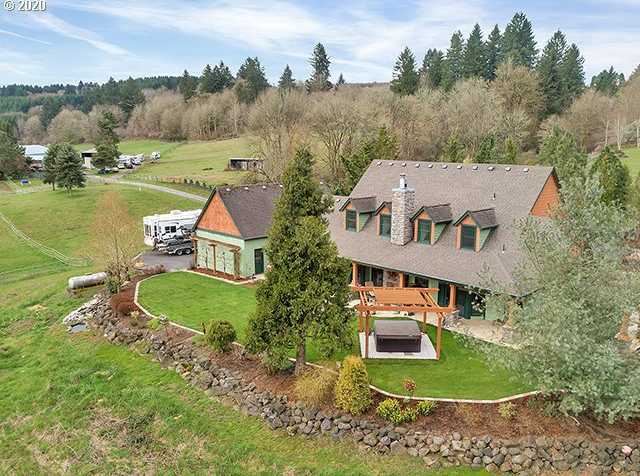 I would like to schedule a private showing for this property: MLS# 19095384 – $1,599,000 – 18233 Sw Mountain Home Rd, Sherwood, OR 97140.